Thomas G. Saylor, Chief Justice of Pennsylvania, has directed a letter to the nearly 70,000 licensed attorneys in Pennsylvania commending their commitment to extend equal access to justice to all of the citizens of Pennsylvania. 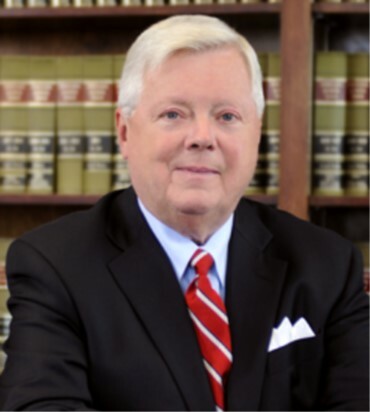 Justice Saylor stated that it is the volunteer efforts-whether in direct representation of clients or through further financial support of legal aid programs that most greatly impact those in need. The Pennsylvania Supreme Court supports civil legal aid in a variety of ways, from funding a loan forgiveness program for legal services practitioners to celebrating the work of pro bono volunteers. In addition, the Court has recently approved the creation of a new continuing legal education (CLE) pilot program aimed at increasing support for civil legal aid for low-income Pennsylvanians by allowing lawyers to earn up to three CLEs through pro bono service. Chief Justice Saylor joined with with Charles Eppolito, Ill, President of the Pennsylvania Bar Association, to call on all attorneys registered in the Commonwealth to make a personal commitment to provide whatever pro bono service they can through direct representation to the poor and through financial support of legal aid programs. He also urged attorneys to take a few moments to reflect on the meaning of Rule 6.1, setting forth an aspirational duty to "render public interest legal service," and encouraged lawyers to access PALawHelp.org, and to register with PAProbono.net to review the range of opportunities there are for pro bono service.